Finally, a politician in Washington with something good to say. On Monday in the United States House of Representative, Rep. Richard Hudson (R-N.C.) praised retiring NASCAR star Tony Stewart on his career and on his charitable and philanthropic works. 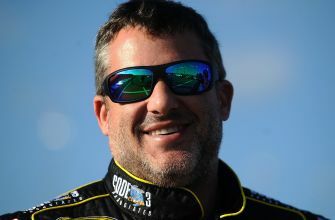 Stewart ended his full-time NASCAR driving career last month with three Premier Series championships, 49 race victories and what certainly will be a first-ballot spot in the NASCAR Hall of Fame once he becomes eligible. And last Friday at the NASCAR Awards Banquet in Las Vegas the NASCAR industry made a $1.8 million donation on Stewart’s behalf to Pearl Jam frontman Eddie Vedder’s EB (Epidermolysis Bullosa) Research Partnership, the largest global non-profit dedicating to curing EB.